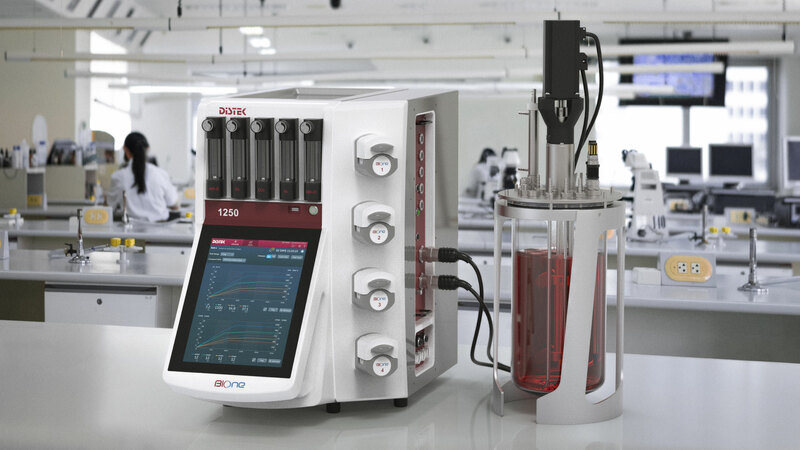 The Distek BIOne is a bioreactor system intended for use in research and development as well as pilot production in the pharmaceutical industry. Phase One Design worked closely with Distek through user research and early product definition stages to arrive at an extremely compact and versatile enclosure design. The modular casework, a combination of sheet metal and RIM can be configured for left hand, right hand, or dual reactor placement. We also redesigned the standard welded rod reactor stand to improve vessel access and manufacturing and assisted in development of Distek’s disposable chamber head plate.